Christmas is the time to go all out and embrace all that is over that top and eye catching! What better excuse can you ask for to use glitter, metallics and bling decor to signify the festive season and transform your home or office. Bronze, copper, gold, silver – you don’t even need colour for decorations if you embrace the rainbow of metallic hues available. Combining these can look very top-end and it is also very dramatic when backlit with fairy lights. Adorn your tree with a range of metallic hues and it will be both eye-catching and on-trend with the traditional gold or silver decorations. Christmas doesn’t have to mean traditional! Try a minimalist and modern twist with a twig tree with fairy lights rather than a large traditional green Christmas tree.  With this approach you can create an amazing vignette in the home. 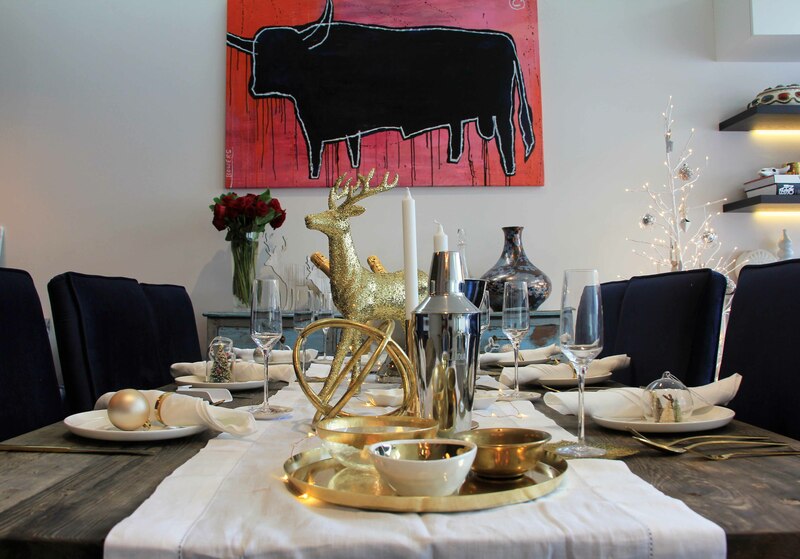 If you’re an apartment dweller or don’t have a large home this approach can the perfect property styling solution through a gorgeous table centerpiece. Think about really embracing the metallic theme by not just introducing Christmas decorations, but also other homewares. Throws, artwork and cushions can be used to bring in a festive flavor as well. This is especially effective if your home is a more neutral dressed living space. 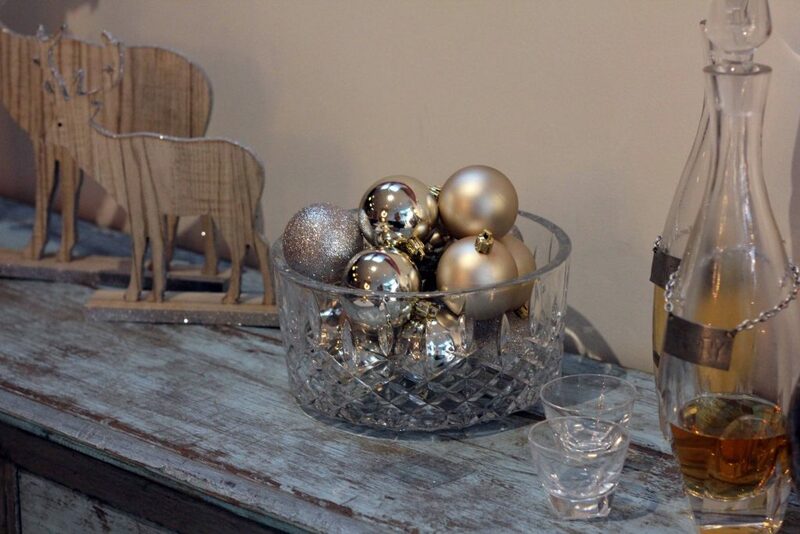 Adding the glam element will feel like a special event and make your Christmas scheme consistent throughout the home. 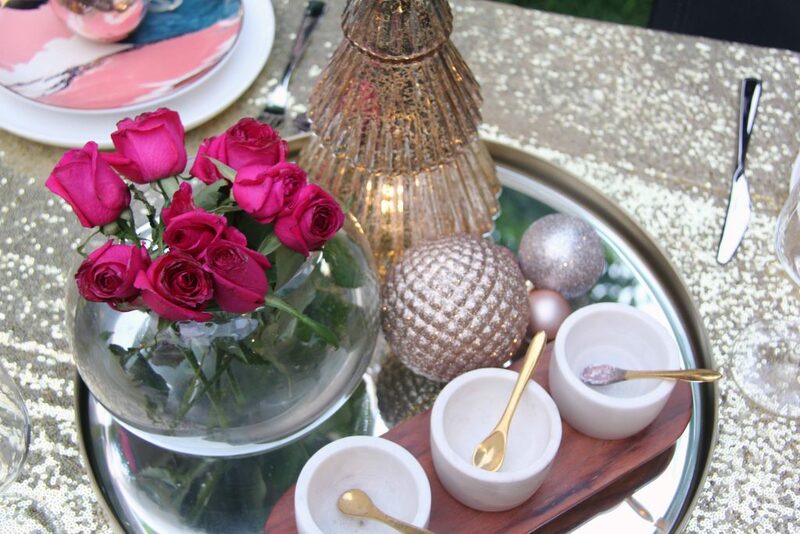 Glam pops are beautiful especially when introduced on a Christmas tablescape. 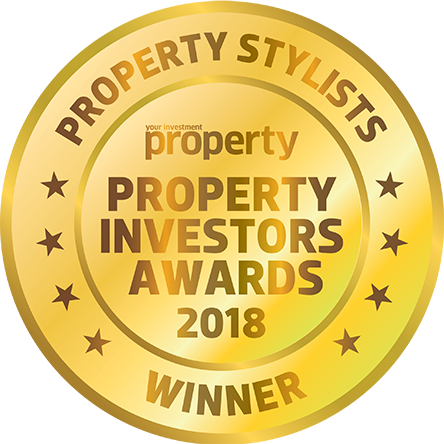 You can easily introduce some statement pieces to the table like a sequined glitter table runner, gold rimmed crockery, golden cutlery or gold foil bowls and glasses to bring in the bling. When paired with tea light candles and some fresh greenery you can create a glittery, elegant and very festive look. 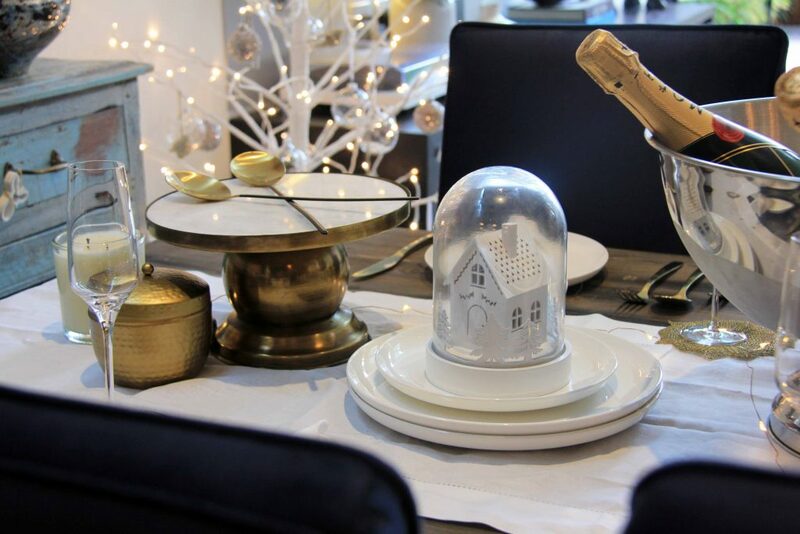 Think outside the square and use pretty glass or metallic tree decorations as place cards for the dining table. This is a lovely keepsake for your guests, or put these in unexpected locations like the bathroom, outdoor trees or even just hanging off door handles throughout your home. 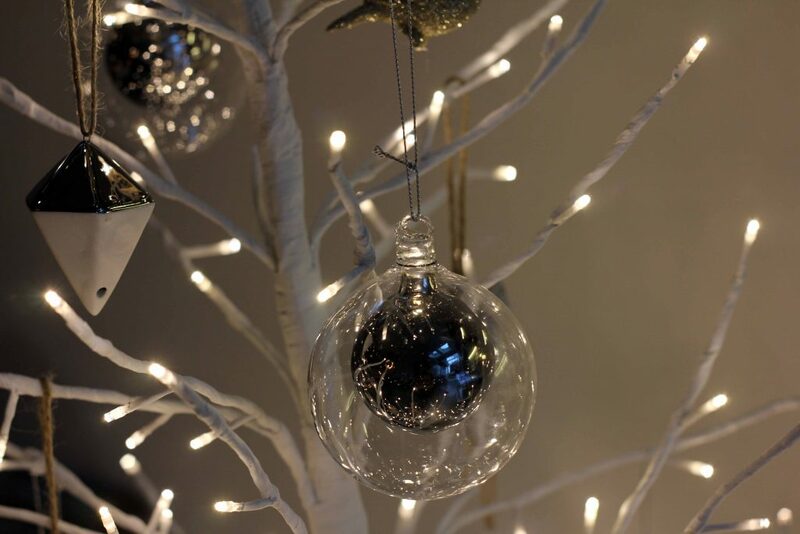 A bowl of Christmas baubles can be a unique and cost-effective centerpiece or try stringing them off a curtain rod as a pretty garland. Play around with interesting locations for decorations and it will surprise and delight your guests.